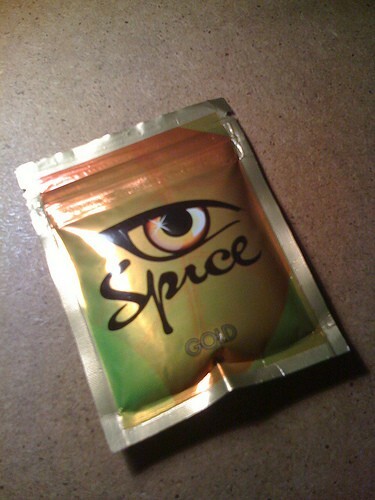 Spice Gold is a herbal mix sold as a legal alternative to marijuana that induces a cannabis like high. Laboratory investigations have revealed the presence of some synthetic substances not shown on the package ingredients list and a group of German doctors say that they've treated a patient with a physical dependence to the herbal mixture. Spice Gold - a mix of innocuous herbs that when artfully combined produce a substance with marijuana like properties; without risk of arrest! That's what’s drawn users to the product that is widely sold over the internet and in "head" shops worldwide, but although users may avoid arrest through their consumption of the herbal mix, they may not avoid addiction. A group of German doctors has just released a description of symptoms experienced by a heavy Spice Gold user that they call evidence of physical dependence and addiction. Dr. Ulrich S. Zimmermann and colleagues, out of Dresden Technical University, have just published an account of a patient admitted to hospital after the daily consumption of Spice Gold. The patient's use had escalated from 1 gram to 3 grams daily, due to the development of a tolerance. The patient complained of thinking impairments and was threatened with unemployment for his under-performance at work, but reported constantly craving the product and an inability to stop using, despite the adverse side effects. The patient came to hospital only after an inability to procure the "drug" led to the development of symptoms, such as, headache, nausea and vomiting, depression, tremor and others. When he again smoked Spice Gold, his symptoms vanished. Dr. Zimmermann writes that the symptoms observed were typical to a physical dependence and withdrawal syndrome, as is observed with marijuana addiction. The doctors suspect that the synthetic cannibanoids, JWH-018 and CP 47497, which have been found in Spice Gold (but that are not listed as ingredients) are responsible for the development of a physical dependence. The herbal ingredients listed on the packaging are a blend of legal and medicinal herbs, but independent laboratory testing in Germany has revealed the presence of synthetic cannibanoid drugs (and the absence of many of the ingredients listed) which are likely responsible for an intoxication that users report as qualitatively similar to a cannabis intoxication. Several countries in Europe and elsewhere have banned the product, yet the herbal mix remains legal in a majority of countries, including the US.